A brand new restaurant in Mississauga has you covered. 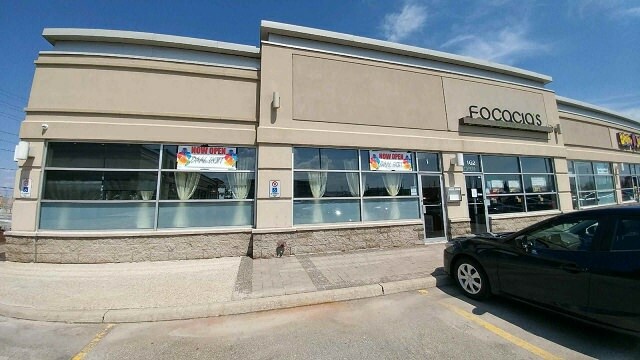 Buffet restaurant Daal Roti Indian Tadka House opened its doors on Thursday, May 3 at 6990 Financial Drive, near the intersection of Derry and Mississauga Road. Daal Roti specializes in Indian and South Asian cuisine, featuring a lunch buffet with a variety of foods such as veggie samosas and tandoori chicken. The restaurant also offers catering and has daily specials. Daal Roti’s Facebook page provides more information and a few videos, showing off the lunch buffet and a tour of the restaurant’s interior. This is the restaurant’s second location, with its first located at 25 Watline Avenue in Mississauga, north of Hurontario Street. Cover photo and video courtesy of Daal Roti.